Annie and Jared’s barnyard style was absolutely gorgeous and perfectly captured the beauty of the vintage aesthetic. Having a taste for vintage fabric and books, Annie made mostly everything herself for their wedding (including her dress!) and it was completely evident that their wedding truly captured who they were. 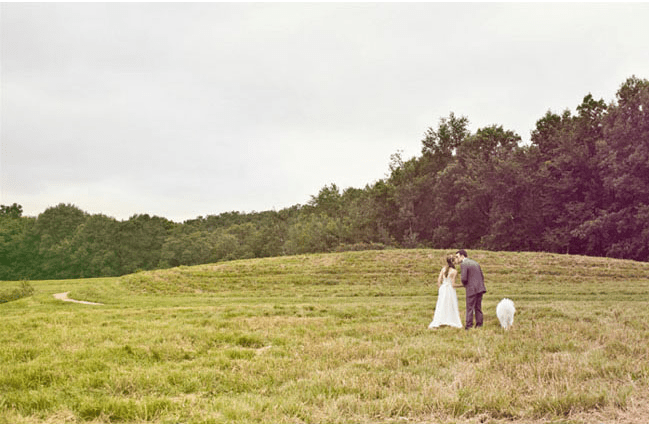 Their barn wedding gave a great advantage to having their adorable white Samoyed, Loki be apart of it as well! Read more about their wedding here!